Ducted natural skylight systems are an excellent way of bringing sunlight into modern interiors. They typically comprise of a dome at the rooftop which captures the sunlight. 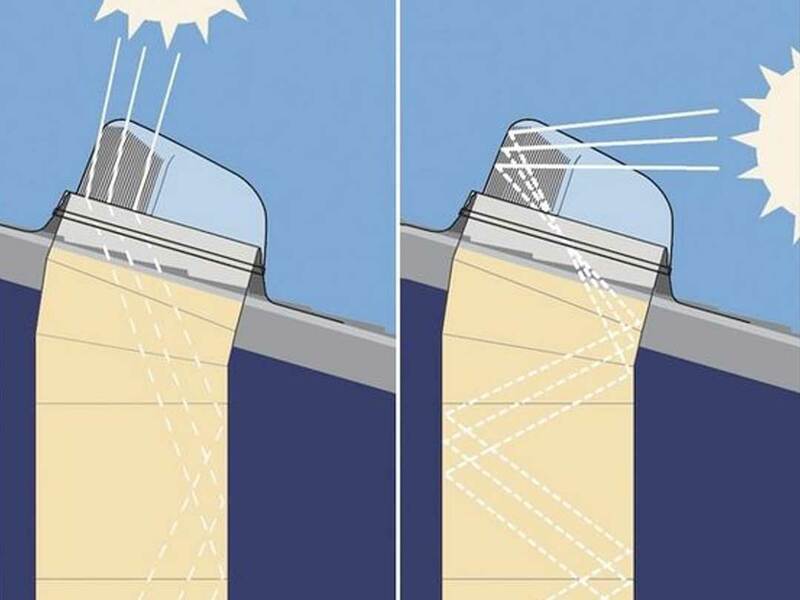 The captured sunlight is that transmitted through a shaft to a diffuser installed at the ceiling. The ducting can be both rigid and flexible, varying in length depending on the size and model of the skylight. Ducted natural skylights help you trim down energy costs of your home. They also help ensure healthier indoor environments by using natural sunlight as a lighting source. Below is a quick rundown of the residential and commercial ducted natural skylights available in Australia. 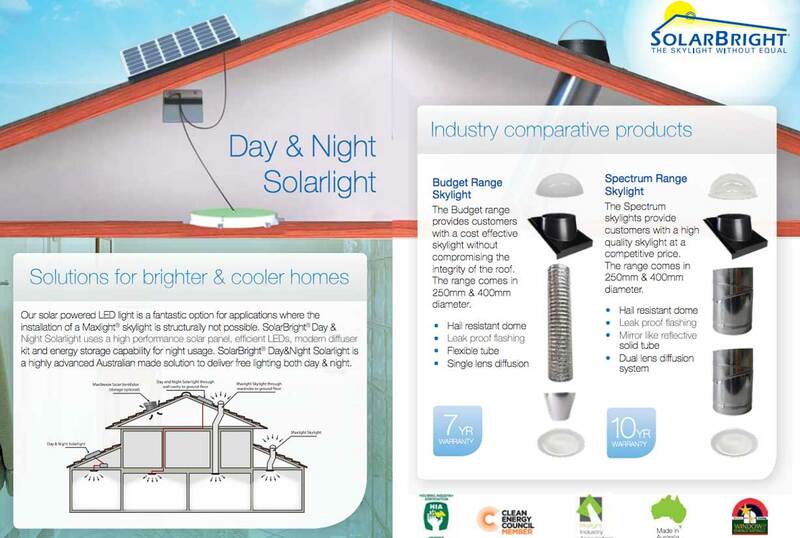 SolarBright is an Australia-wide supplier of residential as well as commercial skylights. The company is headquartered at Sydney and has suppliers all over Australia. SolarBright has a reputation for manufacturing high-quality premium skylights and offers extended warranty on most of its products. The Solar MaxLight is a commercial tubular skylight system, harnessing the natural sunlight to illuminate large interior spaces. This particular commercial daylighting solution is available in three different variants. These include a model that is suitable for open ceilings, a second variant best suited for closed ceilings and another standard model. All three variants feature 500mm domes that directly transmit the sunlight indoors. With these three models, you can easily find a commercial skylight that is suitable for warehouses, factories, shopping malls, swimming pools and other commercial spaces. SolarBright has used cutting-edge technologies in manufacturing Solar MaxLight. MaxLight comes with a SunTracker Dome which is solar powered and has GPS Sun Tracking technology. The ducting makes use of M-Silver Tube which optimises sunlight transfer from the dome to the ceiling. High-grade aluminium flashings are included with these skylights and ensure a very durable installation. Each of the three MaxLight models can illuminate up to 65 square meters of indoor space. The length of the ducting or the tube can be above 20 metres without any loss of light. The standard square and closed models throw a more concentrated beam of light whereas the open model delivers a more diffused and widespread illumination. Belle Skylights is a well-established Australian brand that has been manufacturing green energy products for more than 50 years. The company’s main showrooms are located in Moorabbin and Mornington, Victoria. Belle Skylights is unique in that it manufactures high-quality skylights while also offering related products from other manufacturers. The company also offers customised residential and commercial daylighting solutions for buildings of all sizes. SunTube is a daylighting solution that is equally suitable for both residential and commercial applications. It is available in throat sizes of 300mm, 400mm and 500mm. SunTube can be effectively used as an environment-friendly source of lighting at hospitals, schools, office spaces and warehouses. 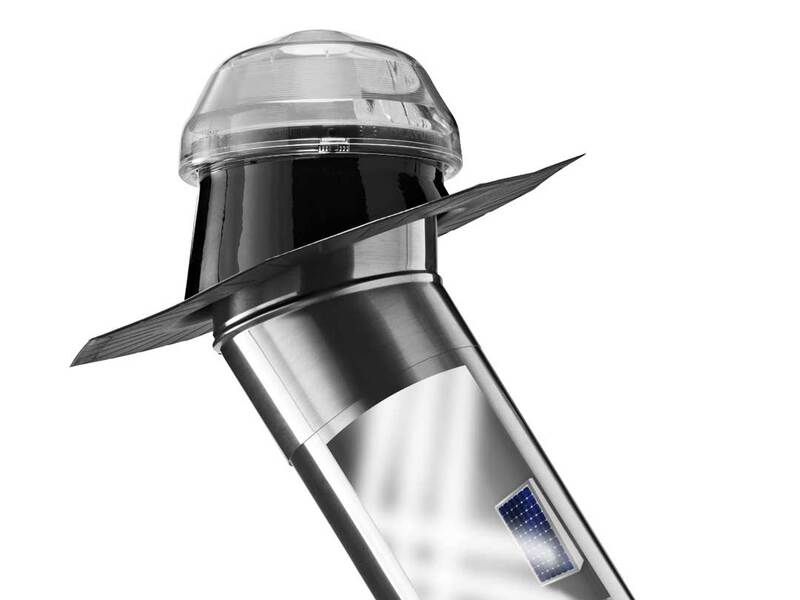 The SunTube dome comes with an ultraviolet-stabilised external surface. This protects the dome from any wear-and-tear over time, ensuring a longer life and optimal performance. The shaft system of the skylight features FlexiShaft which is a highly flexible, reinforced and ultra reflective on the inner side. This ensures that it reflects the maximum amount of light received from the rooftop to the diffuser at the bottom of the shaft. 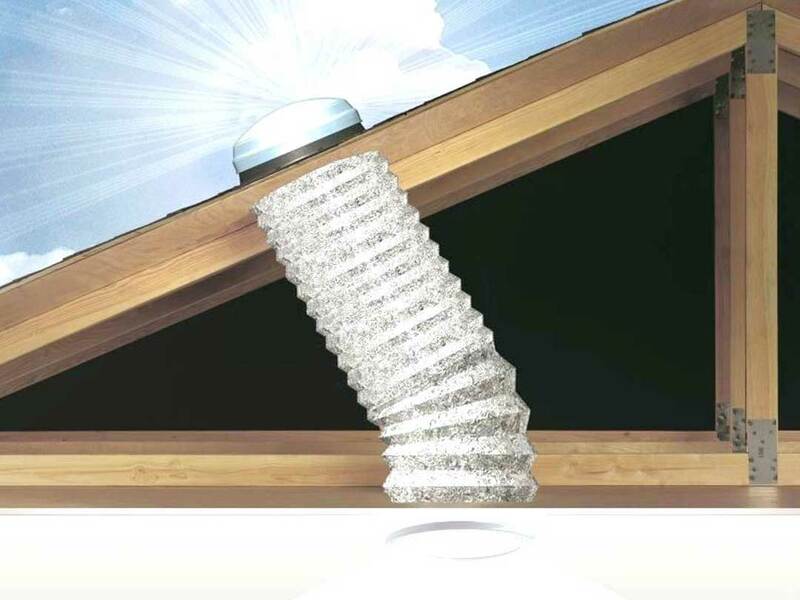 SunTube works equally well on virtually all roof types and pitches. Commercial buildings can utilise a large number of these skylights in close proximity to achieve bright interiors. Belle Skylights offers SunTube in multiple finishes including galvanised, Colorbond and Zincalume. So the outlook and colour of SunTube can be made to match the roof aesthetics as well. The SolaMaster daylighting system from Belle Skylights features premium-quality materials and a highly sophisticated design. Manufactured to deliver powerful illumination for expansive spaces, this commercial skylighting system works equally well in low-light conditions such as at dawn and dusk. SolaMaster features a brilliantly designed dome with Effective Daylight Capture Surface. 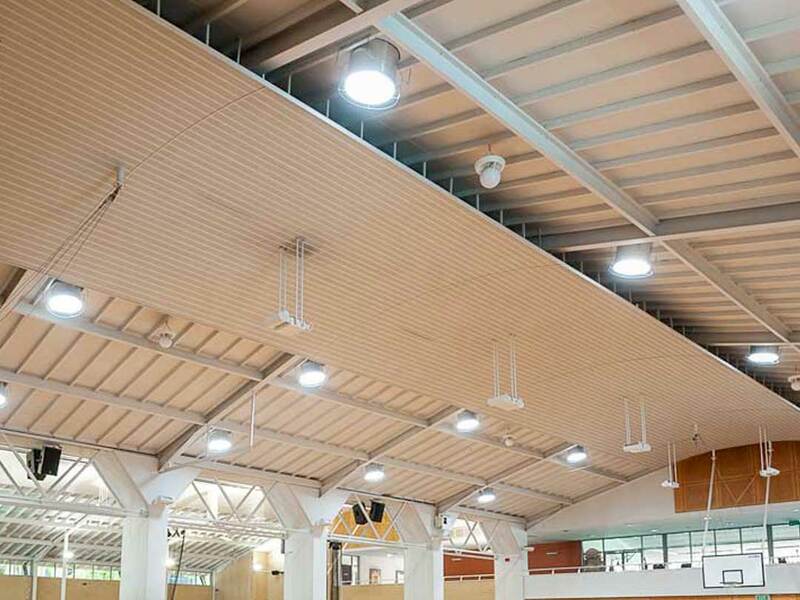 The daylighting system is available in both open ceiling and closed ceiling variants. Belle Skylights offers the open ceiling model with three flashing options: curb mounted, self mounted and with turret extensions. In addition, the company offers a rich range of accessories to fully customise the skylight installation. These accessories include a flashing insulator, trim rings, wire suspension kit, extension tubes, protection band for the dome edge, and security options. You can also choose from a round or square diffuser at the ceiling opening to determine the quality, expanse and intensity of light delivered at the indoor space. The SkyVault series of commercial skylights from Belle Skylights is meant for large commercial spaces with extra high ceilings. These skylights feature cutting-edge design and manufacturing to deliver a large volume of natural light and illuminate very large spaces with ease. The base unit comes with a 74 cm opening, significantly larger than most other commercial skylights. By illuminating large areas, SkyVault eliminates the need to install a lot of skylights. Instead, even large commercial buildings such as warehouses and airports can make do with a few of SkyVault skylights to achieve excellent illumination. Delivering a more powerful and expansive illumination, SkyVault also minimises the installation costs and disruptions to the roof structure. Natural Light Energy Systems has been around for nearly two decades. 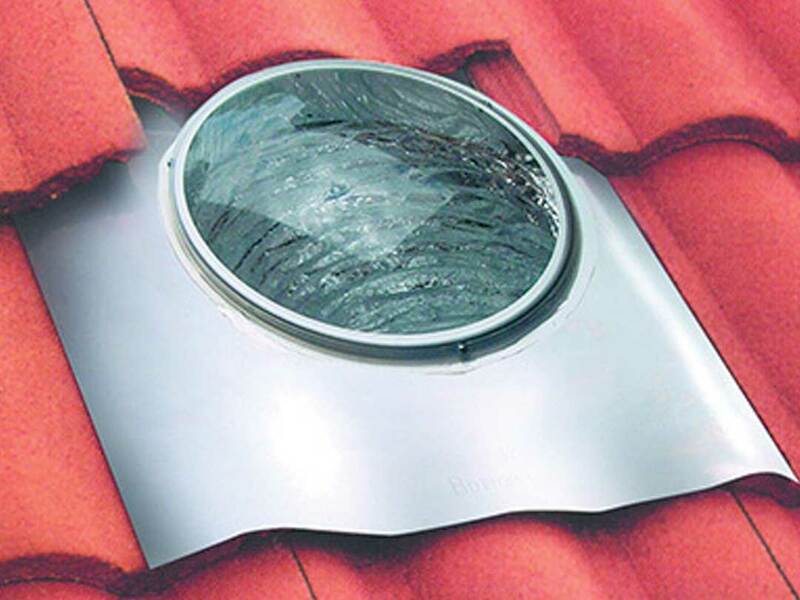 Even in this brief time, the company has established a solid reputation as a leading manufacturing in the tubular skylights and attic fans niche. The company offers a wide range of both residential and commercial ducted skylights. 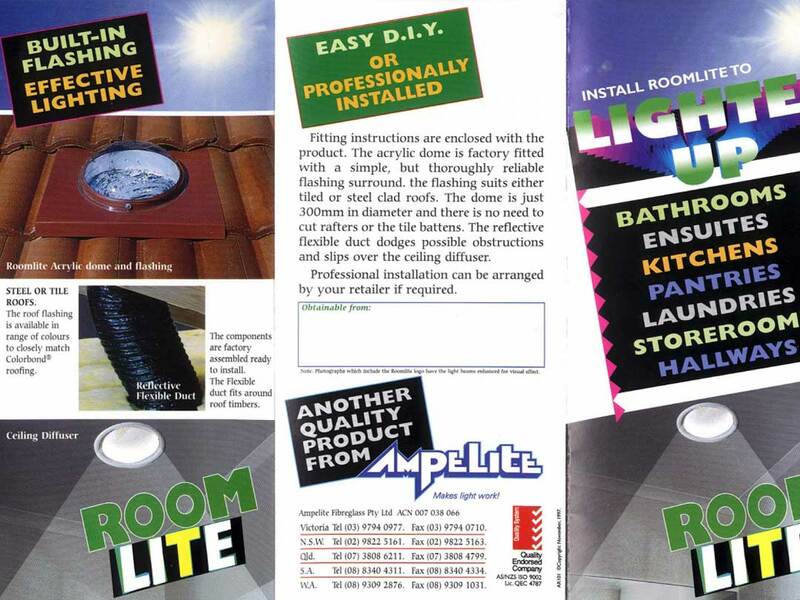 A stand-out feature of these products is the industry-leading 25-year warranty that Natural Light offers on them. This ensures a good return-on-investment when you go with these skylights. The Warehouse Tubular Skylight, as the name suggests, is designed to deliver natural sunlight to warehouses interiors and other buildings with high ceilings. This tubular skylight a 21-inch opening and is able to illuminate up to 700 square feet of space. It comes with standard flat roof and curb-mount flashing options. The dome of the skylight is constructed from high-quality acrylic materials. This ensures that the dome is able to withstand the worst of weather conditions without incurring any damage whatsoever. The structure of the skylight is also hurricane-tested and approved. The flashing is constructed from high-grade aluminium while the shaft features a micro-silver surface. This ensures that around 98% of the sunlight reaches the diffuser with minimum transmission losses. The skylight comes with a 4-feet light pipe. You can choose from a prismatic diffuser or a soft white diffuser to determine the kind of illumination you require. Given its powerful illumination, this model is equally effective for factories, hospitals, retails stores, offices and other commercial spaces. Ampelite is the largest manufacture of fibreglass roofing products in Australia. The company also manufactures high-quality skylights specifically geared at residential applications. Ampelite products are known for embodying premium quality, sturdy design and reliability. However, compared to many other residential and commercial skylights, Ampelite’s ducted skylights have a more limited warranty of 5 years. Roomlite is a ducted natural skylight meant for residential spaces. This nifty skylight has a built-in flashing included along with the rooftop dome. The skylight is designed to be perfect for steel and tile roofs as well as other types of roofing. Ampelite offers this skylight in 300mm, 360mm and 500mm sizes. The smaller 300mm Roomlite is better suited for small indoor spaces such as walk-in robes, hallways and bathrooms. 360mm and 500mm Roomlite variants are able to illuminate larger spaces and are effective for illuminating kitchens, bedrooms and larger spaces within your home. Ampelite has used high-quality acrylic materials in constructing the Roomlite dome. This makes the dome highly resistant to weather conditions. A 1.5-metre duct is included in the skylight kit. The duct is highly flexible to bend through the roof timbers easily and has a highly reflective interior surface to optimise light transmission. At the ceiling opening, the skylight features a prismatic diffuser to deliver excellent illumination. Ampelite offers this skylight in a variety of colours to match Colorbond roofing. The kit is incredibly simple and straight-forward so that you can also choose a do-it-yourself installation. 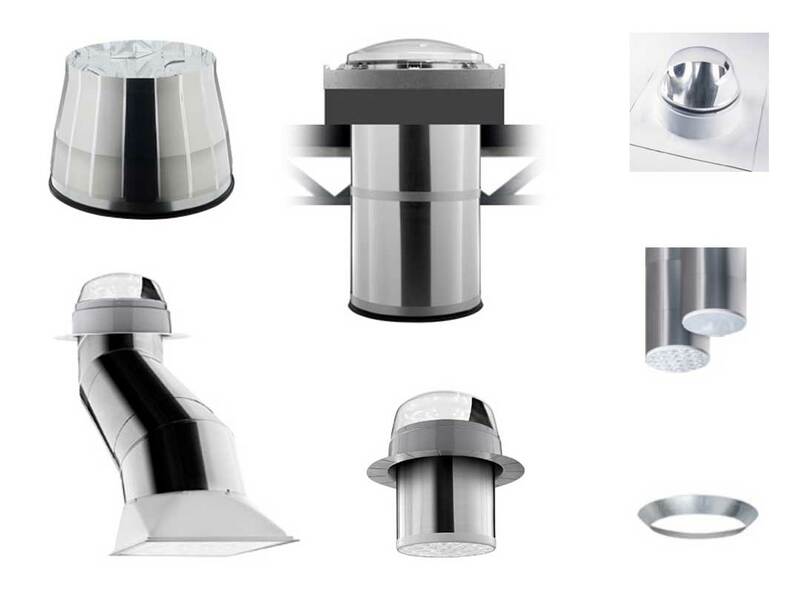 Edmonds is one of the leading manufacturers of turbo and powered ventilation products in Australia. The company’s products are known for their premium quality, durable make and reliable performance. Edmonds backs most of its products with an extensive warranty. A number of skylight systems are offered by Edmonds. Most of these are offered as a part of ventilation systems, so that products like TurboBeam offered by Edmonds offer both ventilation and daylighting. The skylights offered by the company are designed for residential applications. TurboBeam is a wind-driven ventilator that doubles as a ducted natural skylight. It features a brilliantly designed clear acrylic head that can capture natural sunlight and reflect it down a shaft. The high-impact acrylic head can withstand weather conditions quite well and has a durable make. TurboBeam has a throat size of 250mm. The clear head is complemented with a flashing that is made from high-quality aluminium. Varipitch base is included in the unit to make installation easier for a range of roof angles. The shaft that leads from the head is also constructed from aluminium and offers good light transmission. This skylight has a smaller throat size, so it offers illumination sufficient to light up smaller areas such as roof spaces and attics. That being said, it offers an ideal solution to keep the environment dry and naturally lit in these remote areas of your home. It also helps keep away pests and vermin from finding a refuge in dark corners. TurboBeam is great for both metal and tiled roofs. Edmonds offers a 15-year warranty with TurboBeam which ensures a great return-on-investment when you choose this skylight. The SolaBrite is a ducted natural skylight. This roof-mounted skylight comes in throat sizes of 300mm and 400mm. The SolaBrite dome is constructed from acrylic materials and designed with a high-impact body to withstand the worst of weather conditions effectively. The shaft comprises of a flexible duct that leads from the dome at the rooftop to the diffuser at the ceiling. Reflector rings are located at both ends of the shaft to ensure that most of the captured light from the dome is transmitted all the way. At the end of the shaft, a prismatic diffuser delivers the natural skylight to illuminate a sizeable space. Edmonds offers a separate variant of this skylight, the SolaBrite Plus. This variant doubles as a ventilator and a skylight. 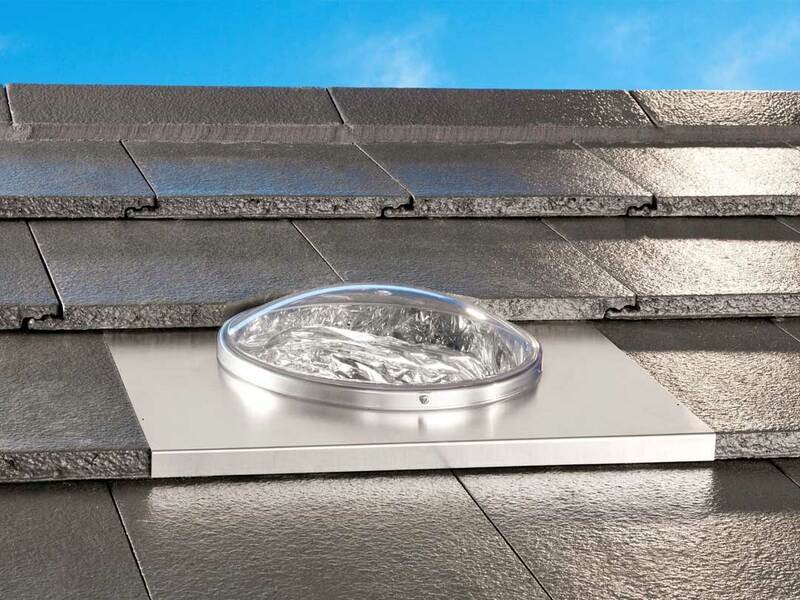 Available in throat sizes of 350mm, 400mm and 500mm, the skylight has internal ventilator to prevent any condensation or heat build-up. This makes it a particularly good option for indoor spaces such as kitchens and bathrooms where humidity can be a problem. Both units come with a 2-metre tubing. They are designed to perfectly complement both metal and tiled roofs. The warranty offered by Edmonds for these units is more limited compared to the warranty on TurboBeam. SolaBrite has a warranty of 7 years while SolaBrite Plus comes with a 5-year warranty. 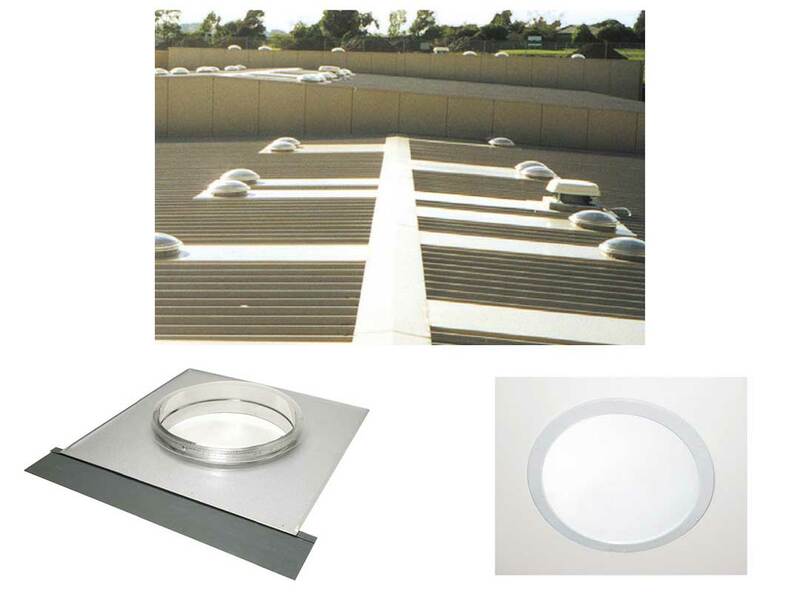 Solatube is the leading manufacturer when it comes to daylighting systems in Australia. The company has been at the frontier of skylight innovation and invention. Many other manufacturers and retailers usually offer Solatube’s ducted skylights as the most reliable brand of products. The company offers both residential and commercial skylights. With dealers located all over Australia and retailers also offering Solatube products, it is easy to get one of these virtually anywhere in Australia. 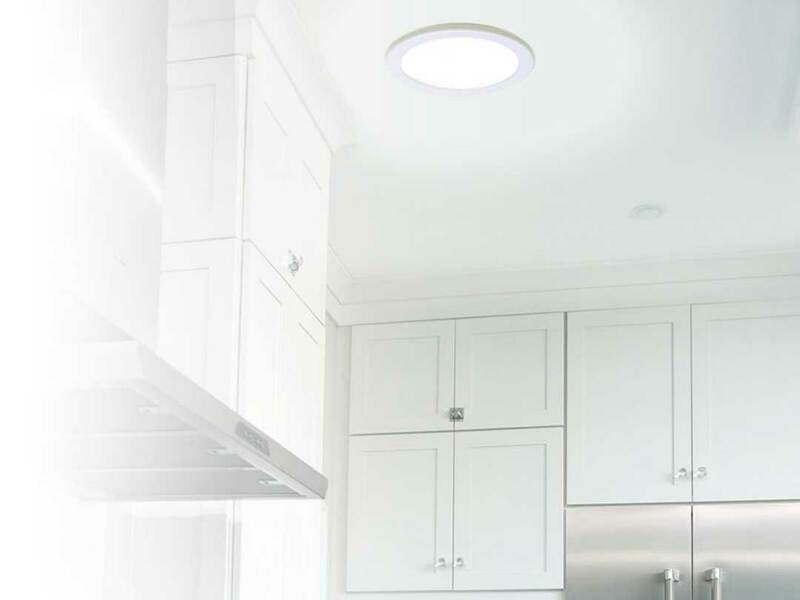 Solatube also offers installation services, promising to have any of its skylights installed at a property within 2 hours. 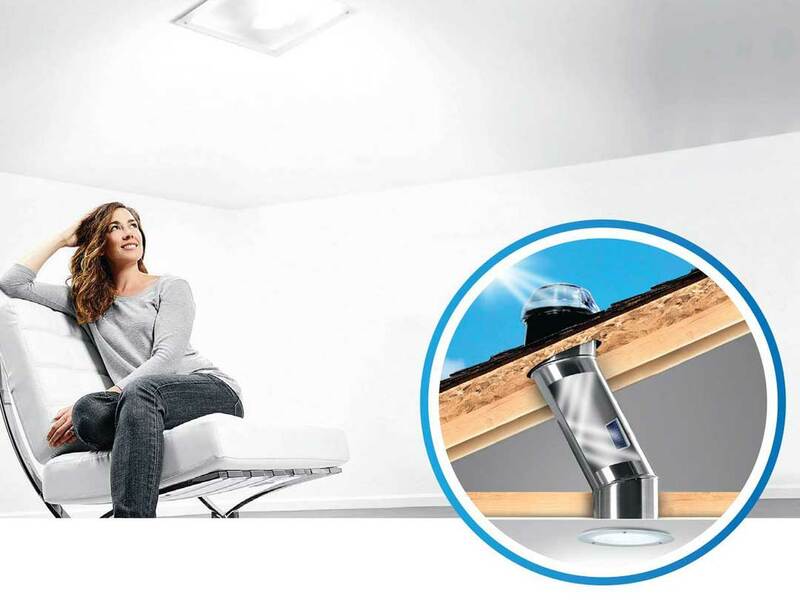 Solatube tubular skylights are offered in two sizes: 160 DS and 290 DS. Both are geared at residential applications, with the 160 DS model suitable for lighting up around 14 to 19 square metres. 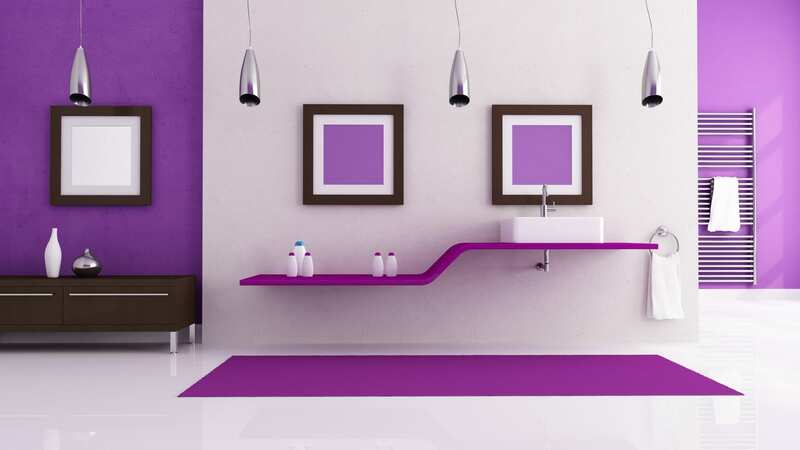 This makes it a suitable choice for smaller spaces at your home, such as the pantries, bathrooms, hallways and laundries. The 290DS model illuminates around 23 to 28 metres square and is perfect for larger space at your home, such as the kitchen, the bedrooms and the dining room. Both models come with Solatube’s iconic Brighten Up dome. This particular dome is designed to capture maximum sunlight and delivers a good amount of light to the indoors even in winters. 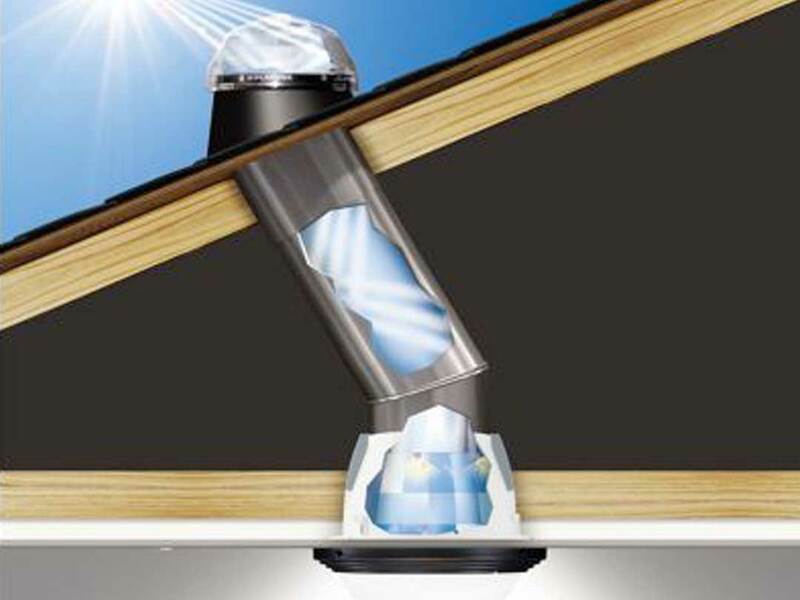 Solatube offers custom flashing for each roof type so that the installation is completely leak-proof and a perfect fit. From the dome, a high-quality duct leads to the diffuser. 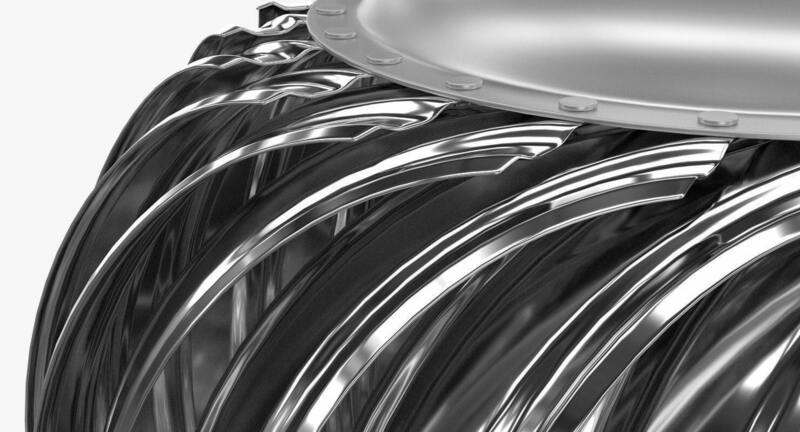 Solatube has used Cool Tube technology in designing the duct. This ensures that the duct stays cool in summers and well insulated in winters. You can also avail the option of having a solar unit installed within the duct. 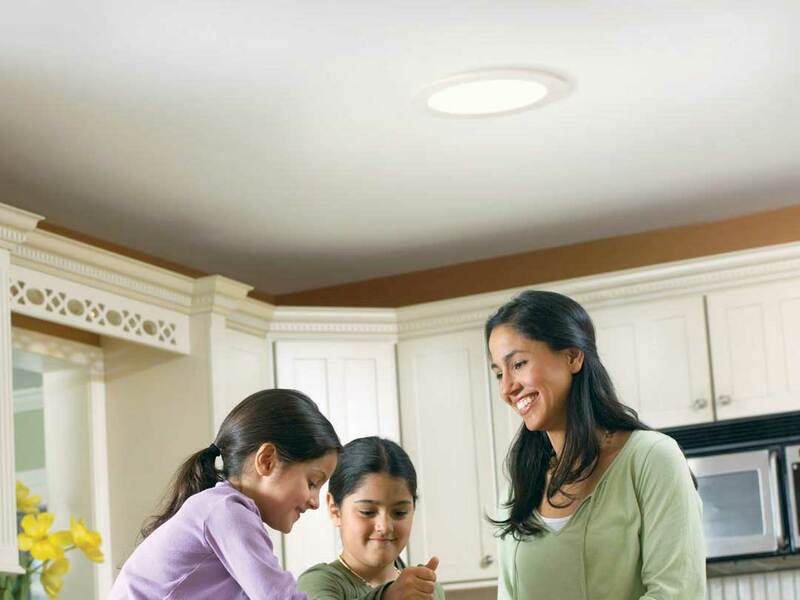 A great thing about Solatube tubular skylights is that they come with a wide range of ceiling fixtures and diffusers. Available in both square and round shapes, the sheer range of these diffusers lets you customise the ceiling open of the skylight to match your roof. You can also customise the quality and feel of the light ultimately delivered through the diffuser. SolarBright offers a wide range of high-quality ducted skylights for residential applications. The company has its showroom based in Sydney although its products are also available Australia-wide through its suppliers. Compared to most other manufactures of skylights, SolarBrights offers an extensive range of products. The Maxlight Series is the flagship line-up of skylights from SolarBright. One of the most innovative features of the Maxlight skylights is their dome. SolarBright has created this dome with a unique design so that it is not exactly round. Instead, it features a slightly oval shape which is more effective in capturing the sunlight throughout the day. Injection moulded roof flashings are used in the installation of the head unit. This ensures a completely leak-proof installation. 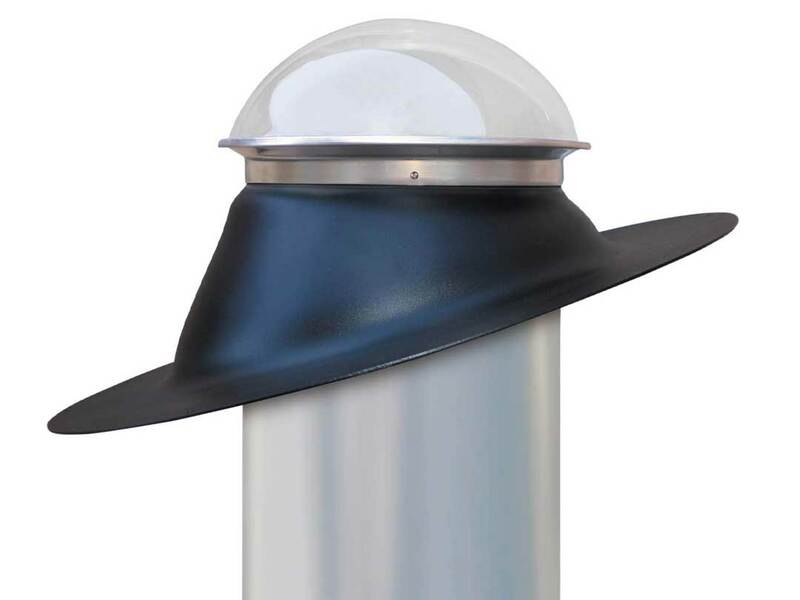 The RayCatcher Dome is complemented with a high-quality M-Silver Tube. The tube utilises a highly reflective inner surface to transmit the maximum of sunlight captured through the dome to the diffuser. SolarBright offers the Maxlight products in three sizes: 250mm, 400mm and 550mm. You can choose between square and round diffusers for the 400mm and 550mm sizes. The ML250 model can sufficiently illuminate around 18 metres square of space. ML400 with a round diffuser covers around 25 metres square of space while the same model with a square diffuser can illuminate around 25 metres square. The Maxlight models come with a duct drop length range of 7 metres to above 15 metres. You can choose from a variety of diffusers to match the ceiling opening of the skylight to your interior spaces. The triple lens diffusers are designed to block out the harmful ultraviolet rays. SolarBright offers a 15-year warranty on the Maxlight series products, far more than offered by most other skylight manufacturers in Australia. Suitable for naturally illuminating small to medium, large and extra-large residential spaces, these skylights are a good fit for most homes.